The UK and Peru’s CONCYTEC launch the Newton-Paulet Fund of up to US$26 million to support science and innovation to improve the lives of Peruvians ahead of 2021. Newton-Paulet Fund: solving Peru’s most pressing development challenges through science and innovation. 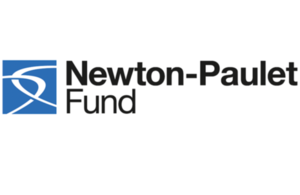 Peru joins the Newton Fund with the launch of the Newton-Paulet Fund, a joint fund of up to US$26 million over the next four years. The goal of the Newton-Paulet–named after the renowned Peruvian scientist, Pedro Paulet–is to promote science and innovation to contribute to economic development, improve the quality of life in Peru, and strengthen ties to meet future global challenges. This initiative is the UK’s largest contribution to date (US$13 million) in the development of science and innovation in Peru. UK funding will be matched by its counterpart in this joint initiative, the National Council of Science, Technology and Technological Innovation (CONCYTEC). This partnership will allow Peruvian and British scientists and researchers to work together to tackle Peru’s most pressing challenges through international collaboration in science and innovation until 2021. This alliance builds on prior UK investment of approximately US$1.3 million to support science and innovation in Peru, in partnership with CONCYTEC, with projects lasting until 2018. I am very proud of this 21st century alliance with Peru, to face together the challenges that affect not only Peruvians but citizens all around the world. Over the next few months, CONCYTEC, through its Cienciactiva initiative, and Newton Fund UK Delivery Partners will carry out a series of calls for research proposals. For more information on the first call for bids, visit Researcher Links Regional Biodiversity Workshops (Latin America) and Researcher Links Biodiversity Travel Grants. The Newton Fund of the United Kingdom is implemented in certain countries with leadership potential in the science and innovation sector. The Fund has developed research and innovation partnerships with 18 countries to support its economic development and social well-being and to develop its research and innovation capacity for long-term sustainable economic growth. It is managed by the UK Department of Business, Energy and Industrial Strategy and managed through 15 UK strategic partners.